If you’re in the market for a new mid-size sedan, you’d be remiss not to include the 2018 Subaru Legacy and 2018 Toyota Camry among your options. If you’re someone who likes to plug your smartphone in and listen to music or podcasts while you drive, you’ll be disappointed to hear that the Camry does not support either Apple CarPlay or Android Auto – two systems that are available in the new Legacy. Toyota has decided to use a Linux-powered infotainment system instead for its 2018 model, going its own route instead of teaming up with the likes of Apple and Samsung. The Legacy comes with “Subaru Starlink” – which ranks as one of the top infotainment systems on the market. No matter which car you choose, you won’t have to worry about spending a fortune at the pump. The 2018 Legacy boasts a combined fuel economy rating of 12.5 litres per 100 km, while the Camry comes in slightly ahead, with a combined rating of 11 litres per 100 km. At the end of the day, neither is much of a gas guzzler, especially if you do a lot of highway driving. Both the 2018 Legacy and 2018 Camry come at affordable prices for the average consumer. The Legacy starts at $24,995, which is simply incredible value for a car of this class. The Camry, meanwhile, begins at $26,390, while the hybrid starts at $31,290. Neither is overly expensive, especially given the expected longevity of both vehicles. However, if you’re under a tighter budget, the Legacy would appear to be the better option. As with most Subaru vehicles, the Legacy is absolutely loaded with cool safety features, including adaptive headlights and high-beams, tire-pressure monitoring, pre-collision braking, lane-departure warning, blind-spot detection, and rear cross-traffic alert, to name a few. However, Subaru’s legend was born on the back of their industry leading symmetrical all-wheel drive system. The Camry offers a number of safety features of its own, but doesn’t have as extensive of a list as its Subaru competitor. Both vehicles performed well in crash tests, receiving “good” scores across the board from the Insurance Institute for Highway Safety (IIHS). Neither vehicle has been tested by the National Highway Traffic Safety Administration (NHTSA), but both cars received five-star ratings for their 2017 editions. 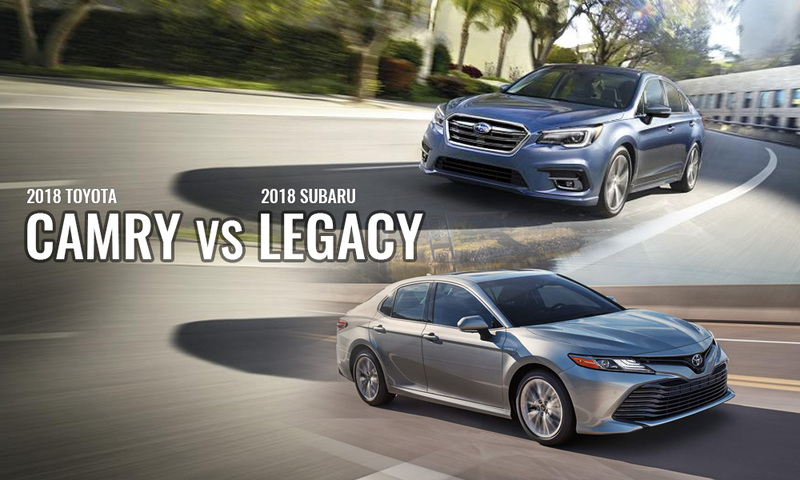 While both vehicles are reasonable options for any consumer looking to purchase a new mid-size sedan, many would agree that the Legacy offers a better bang for your buck. Considering the Legacy not only starts at a cheaper price, but also offers better safety and infotainment features, it seems like a no-brainer to purchase Subaru’s newest mid-size sedan. 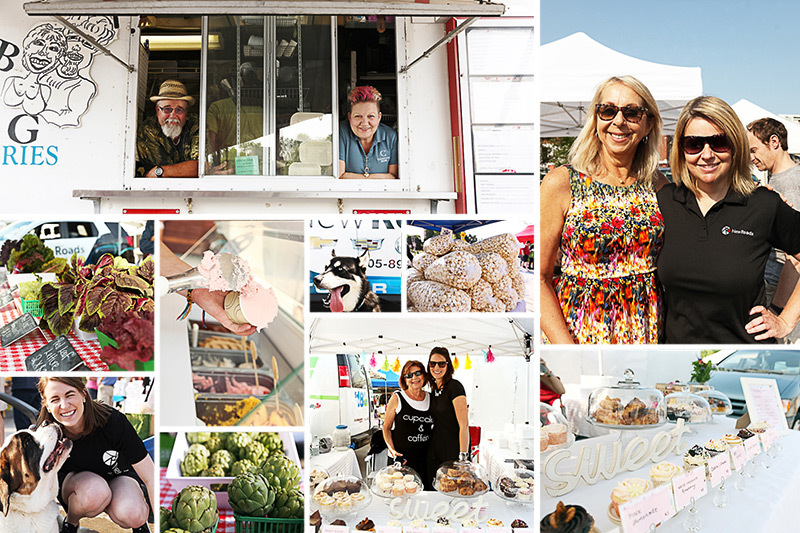 Every Saturday in the heart of Newmarket, locals come together for one incredible farmers market. 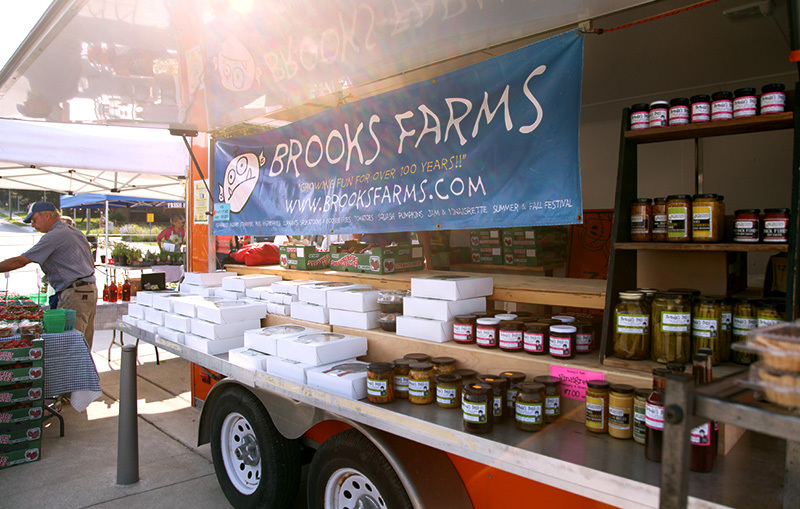 As a sponsor of this ongoing event we were invited down this past weekend to enjoy a truly authentic farmers market experience! 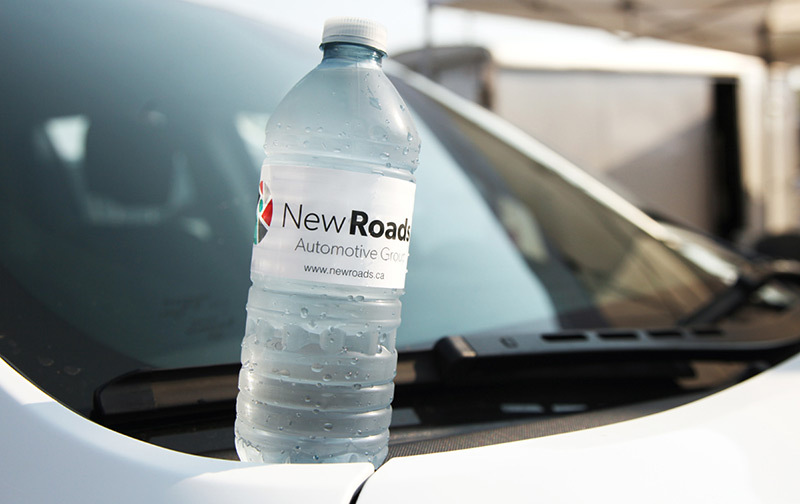 We loaded up one of our customer shuttles with some NewRoads H20 and headed down early Saturday morning! 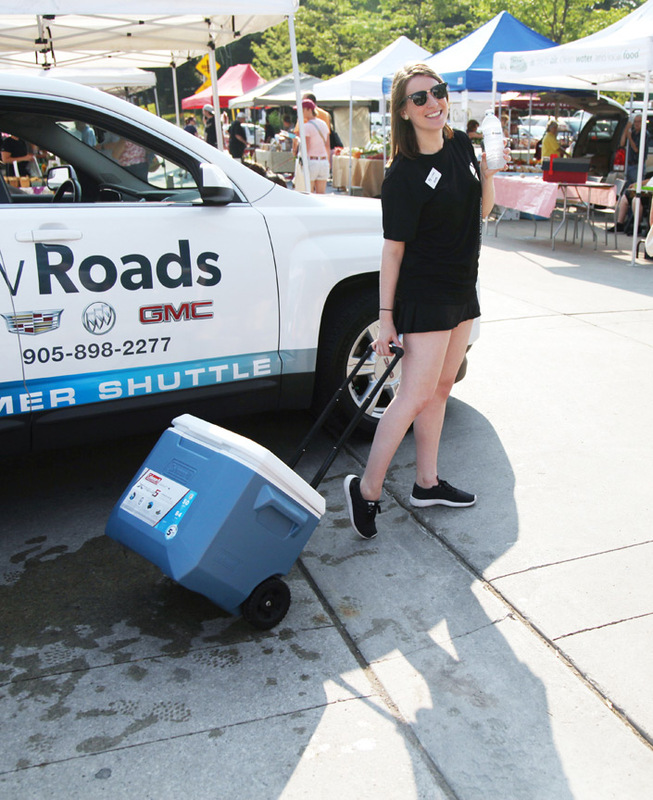 We wanted to give the market goers and vendors a refreshing pit stop as they made their way through the market on this very hot summer morning. Conveniently located in the center of the market, we were surrounded by everything from the freshest local produce, to sweet treats and some amazing Ontario wines! Through out the morning the main stage was all about fitness, with a live Zumba class, and yoga to follow there was definitely something for everyone. We also can’t forget the visits from some of the most adorable furry friends (seriously some of the cutest dogs I had ever seen!) I honestly can’t tell you what the best part of the market was (ok maybe it was the adorable dogs). This is only the first stop on our #NewMoments campaign! 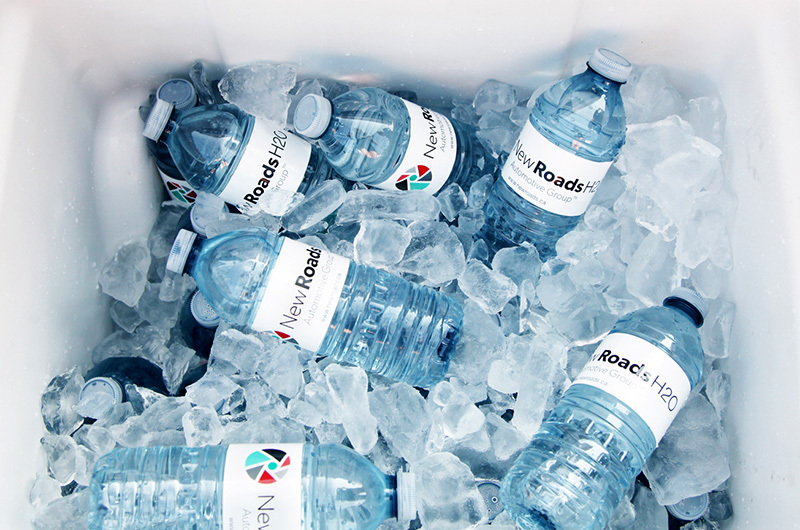 All summer we want to celebrate our community and give back through creating #NewMoments, so stay tuned for some more exciting giveaways, and NewRoads H2O handouts! See you soon! 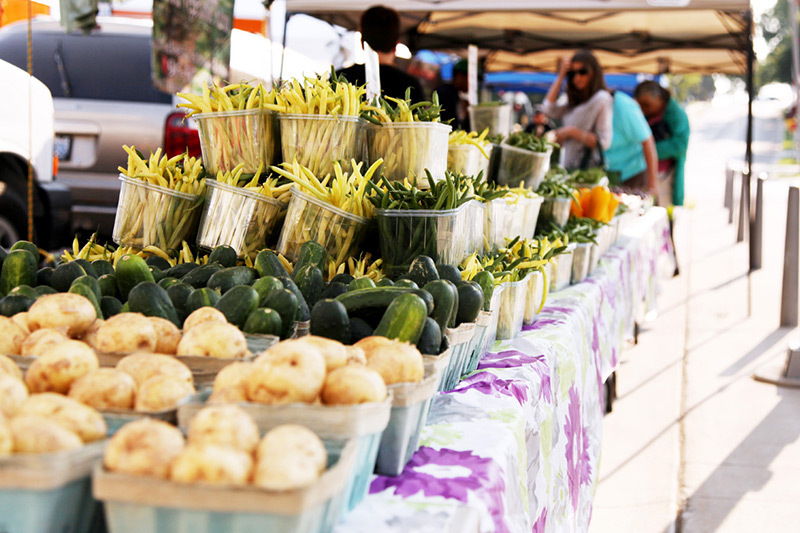 NEWMARKET FARMERS’ MARKET – Market Hours of Operation: Saturdays from 8 am to 1 pm.